Even though there are 1,736 ballots still to be counted, proponents of Napa's Measure C have conceded defeat, reports the Press Democrat of Santa Rosa. "Yes" votes currently trail "No" votes by 632. Measure C, known as the Watershed and Oak Woodland Protection Initiative, would have established protections for oak woodlands and streams located along Napa's hillsides by limiting how many acres can be cut for vineyards. It establishes a buffer zone around streams of 25 to 125 feet, where trees of any kind may not be removed. This doesn't affect vineyard footprints that have already been approved. Only 795 acres of oak trees may be removed from the designated hillsides in order to plant vineyards. Once the 795-acre limit is reached, permits will be required to cut down any more oaks. In agricultural watershed zones, the measure requires replacing or preserving three times as many acres of oak woodlands as were lost. Opponents, which include industry trade groups, plan to spend $1 million to defeat the measure, according to a Guardian report. Meanwhile the Press Democrat reports that supporters have raised $163,504 for their "Yes on Measure C" campaign. How did Measure C Get on the Ballot? Measure C is the culmination of a three-year grassroots campaign by local community activists and environmentalists. Supporters gathered enough signatures in 2017 to place the measure on the ballot. With Napa's valley floor planted to capacity, the only remaining land for vineyard development lies along the hillsides, the area that concerns Measure C.
Supporters say that cutting oak trees reduces groundwater levels and threatens water quality. Oak woodlands help to protect local water supplies because their roots filter out harmful fertilizers, sediments, pesticides and herbicides. Supporters of Measure C include veteran winemakers, who say further development is unsustainable because resources are limited. "The largest users of groundwater in Napa Valley are vineyards and wineries, which use over 70 percent of our groundwater," Chriz Benz, a retired winery manager and Sierra Club member, told KQED's radio program Forum. "And over half of that groundwater comes from the hillside's watersheds, where the oak woodlands play a very vital role in capturing and sinking it into the aquifers." A 2010 management plan estimates that vineyard development will destroy up to 3,065 acres of mixed woodland by 2020. "What becomes imperiled are the vineyards and wineries that we have now," says Benz. "That's why the folks that are in the wine industry, including myself, that are supportive of Measure C understand we need to keep our watershed functioning so that we can keep the agriculture we have now thriving." Supporters accuse Napa's Board of Supervisors of catering to the wine industry and say they had no choice but to force the measure to a vote. Vineyard owners who oppose Measure C say it attacks a fundamental right to farm. 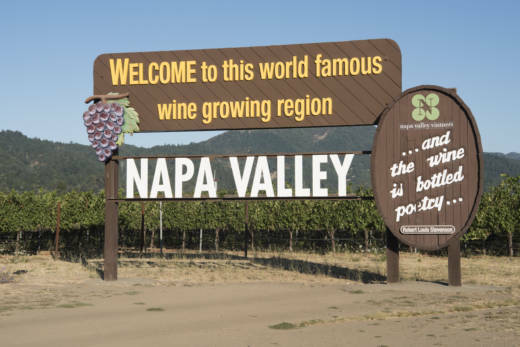 They point to a 1968 ordinance that labels agriculture as the “highest and best” use of Napa’s land and they accuse veteran vintners of anti-competitive behavior. Opponents also argue that the proposal's limit on oak tree removal, set at 795 acres, is not based in science. They say the county code already includes robust conservation regulations that proscribe land use, allowing for periodic adjustments based on new scientific findings. "I'm not getting the rationale behind that number, it seems arbitrary," Jeri Hansen-Gill, chief executive officer of Sustainable Napa County and a member of the Napa County Planning Commission, told KQED's Forum. "Right now, there's not an acreage quota but tree removal is already severely restricted by state and county rules and regulations. Studies are already required to remove trees, permits are based on actual watershed impacts, decisions are science-based." Opponents say voters lack the technical expertise required to understand the complex issues involved. Leaving the matter to a vote would mean having to return to the ballot box every time new developments require an adjustment to be made. "The fact that it is an initiative that requires a simple thumbs up or thumbs down, yes or no vote, is actually part of the problem," says Hansen-Gill. "Should Measure C pass and then in the course of a year it's implemented and we learn something new, we cannot do that without going back to a vote." Should Measure C pass, industry trade groups and newer wine developers would be faced with a moratorium on vineyard development in Napa County. But for environmentalists and established wine developers, who take the view Napa Valley's agriculture cannot accommodate new vineyards, the costs to future industry players are worth it.